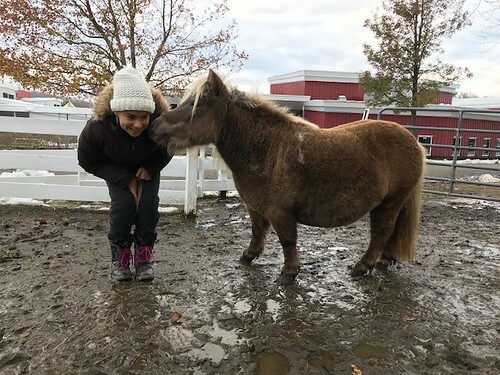 In the fall, a pregnant eight-year-old miniature horse joined the Green Chimneys Farm & Wildlife Center. Maya was donated by local longtime friends who understood the wonderful lessons Maya would provide the children of Green Chimneys. Hover and scroll to see more photos or click on the image to see the album on Flickr. From biology discussions and hands-on animal care to simply sharing time together, students quickly became quite taken with the mom-to-be. By February staff organized a week-long baby shower. Green Chimneys School students and staff visited Maya, participated in foal birth date and gender guessing games, and decorated coloring sheets depicting visions of the much-anticipated baby. care for other living beings. Join the community in all of the excitement!